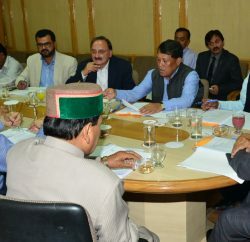 Shimla: Himachal Pradesh government has decided to implement Biodiversity Act, 2002 in all the remaining districts of the state so that all Gram Panchayats could avail its benefit. 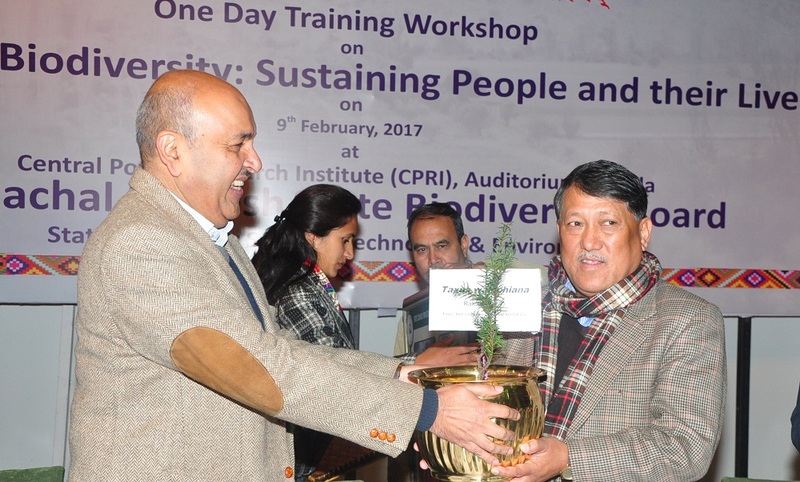 Chief Secretary V.C Pharka, in the inaugural session of the one-day training workshop on ‘mainstreaming biodiversity: sustaining people and their livelihoods, organised by Himachal Pradesh State Biodiversity Board (HPSBB) of the State Council for Science, Technology and Environment, today, said to constitute Biodiversity Management Committee at panchayat level which would work for preparing People’s Biodiversity Register with the technical support from State Diversity Board. The Biodiversity Board was constituted in year 2005 in the state and in the first phase was implemented in Chamba, Kullu, Sirmaur and Shimla districts. It is mandated by the Biological Diversity Act that monetary profits made by the industries and companies using biological resources of the State is to be shared with the panchayat level BMC. Local Biodiversity Funds of BMC are to be utilised for conservation of biodiversity in Panchayat area and for sustainable livelihoods generation. As per the Biodiversity Act, the benefits to be achieved through conservation and sustainable use of bio-resources would be given to the stakeholders of the panchayats. Pharka urged the representatives of the Panchayati Raj Institutes to generate mass awareness about the Act so that the objective of sustainable utilization of biological resources could be realized. He said the work on preparation of People’s Biodiversity Register had already been taken up in the state which would be a document of local biodiversity and traditional knowledge related to it and would go a long way in protecting the rights of the local people. 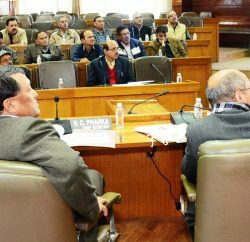 The Chief Secretary expressed concern over the imbalance in biodiversity during rising human population, cattle and incidents of forest fire and moreover farmers were making excessive use of chemical fertilizers and pesticides. He stressed need to conserve local species besides checking the harmful species imported from outside like lantana and parthenium. He urged all the panchayats to constitute Biodiversity Management Committees by 15 March, 2017 so as to ensure preparation of People’s Biodiversity Registers (PBR) on priority basis. He also directed the HPSBB to organise such workshops at block and district levels and also to hold the Board meeting at least two times in a year. He said main focus should be on imparting training to maximum stakeholders for increasing the understanding and awareness about the importance, role and issues concerning biodiversity. Principal Secretary (Environment, Science & Technology) Tarun Kapoor said Himachal Pradesh had rich biodiversity and various companies of repute were getting major portion of raw material for manufacturing medicines. Stressing on the need to preserve and develop biodiversity of the state, he said if the Act was enacted properly, the panchayats would be benefited immensely. 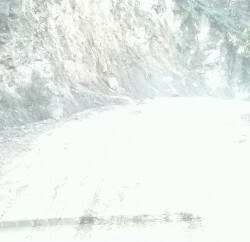 Deputy Commissioner, Shimla Rohan Thakur said biodiversity contribute in upholding the culture. He said it was big challenge for the forest department, representatives of panchayats and common people to maintain accordance in conservation of environment and biodiversity. He urged the representatives of the panchayats to meticulously understand the process of the Act to take maximum benefit out of it. Chief Conservator of Forest, Shimla Alok Nagar, Director, Environment, Science and Technology Archana Sharma, Joint Member Secretary, SCSTE Kunal Satyarthi, representatives of various NGOs and officers from stakeholders departments participated in the workshop.